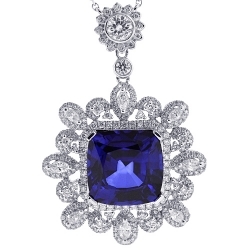 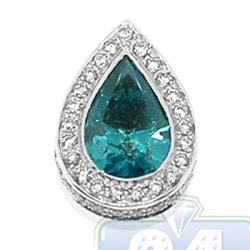 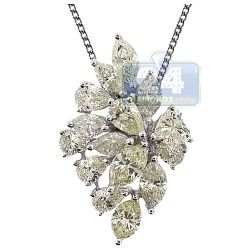 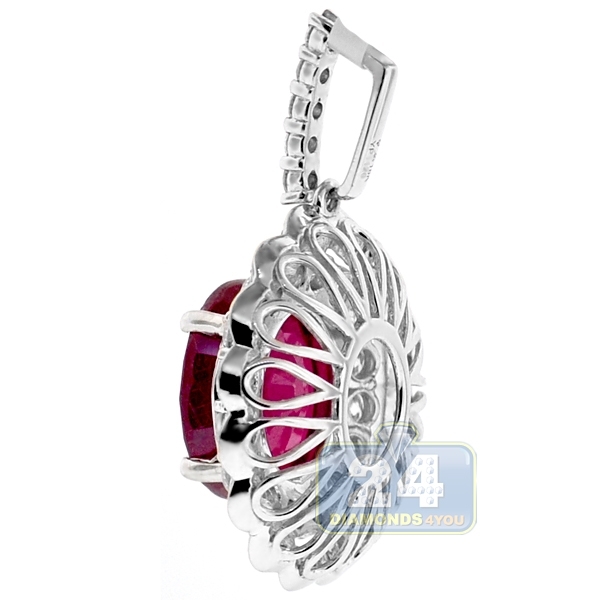 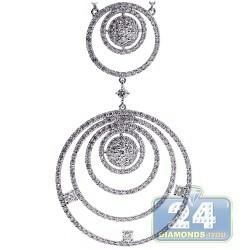 Here is a stunning gemstone drop pendant for ladies from our gemstone collection! 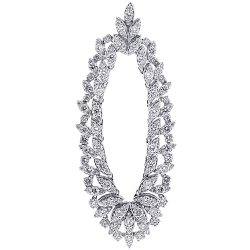 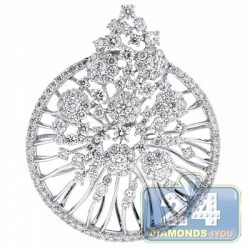 It is beautifully made of lustrous 18k white gold; and features highly polished rhodium covered finish. 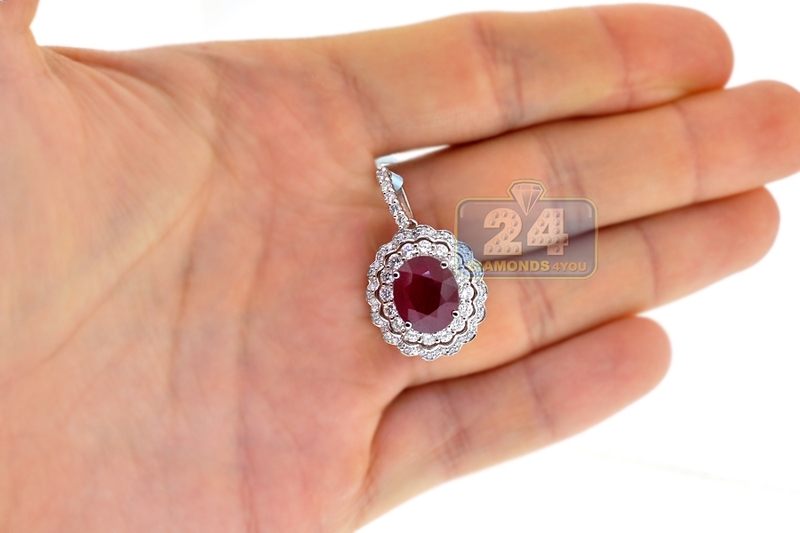 The piece is encrusted with huge oval-cut natural ruby (treated) in the center (7.30 carats), and icy white round brilliant-cut genuine diamonds around (1.45 carat). 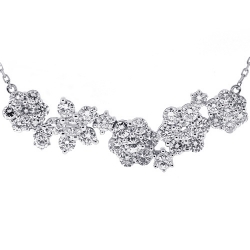 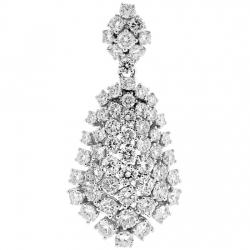 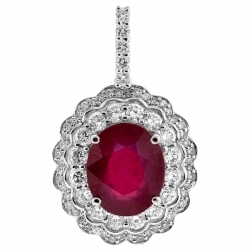 Our women's gemstone pendant has dangling length of 30 mm and width of 19 mm. 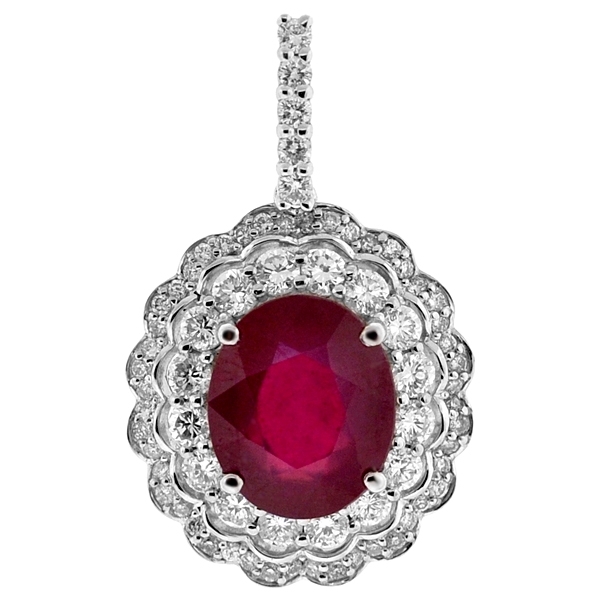 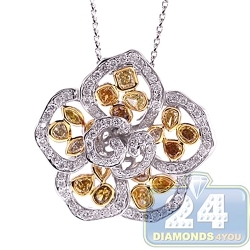 You will be delighted with sparkle of ruby and diamonds in this gorgeous floral pendant!